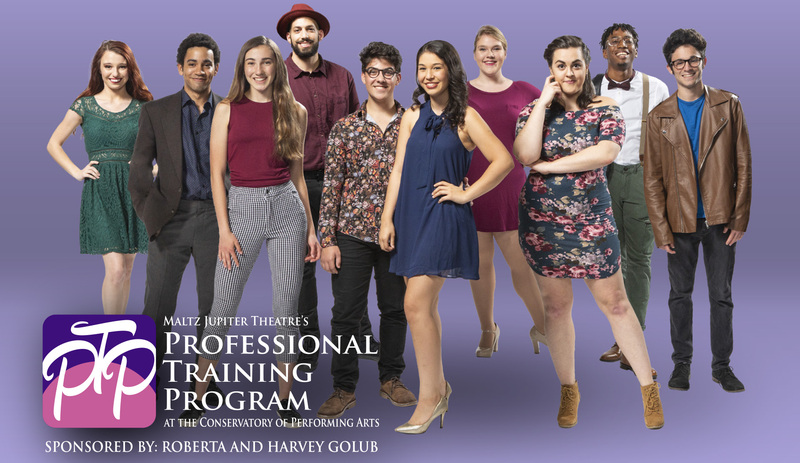 The Conservatory is proud to offer a premiere two-year certificate Professional Training Program. This program was created for students who have graduated from high school (or homeschooled students) who are pursuing a career in the performing arts. The curriculum is designed to train young actors for a career in theatre, musical theatre, film and television. This competitive, audition-only program enrolls 8-12 students per class, enabling participating students to grow at an accelerated pace with extremely high classroom expectations. The program is the only two-year professional training program in Florida affiliated with a professional regional theatre. The faculty is comprised of Broadway and South Florida professionals who are committed to the art of performance. With a goal of creating working actors who are ready for the marketplace, students train 35 hours per week in classes that include acting, voice and speech, musical theatre styles, all forms of dance (including ballet, jazz, tap, modern), music theory, Shakespeare, stage combat, piano fundamentals, career prep, and more.